Jio's offer will be available for both existing and new Jio subscribers who purchase the OnePlus 6T. This cashback offer will be applicable on first prepaid recharge of Rs 299, said Reliance Jio. Reliance Jio has announced an instant cashback of Rs 5,400 on the upcoming flagship device, OnePlus 6T, the operator said in a press release issued on Monday. This cashback offer will be applicable on first prepaid recharge of Rs 299. Customers availing the offer will get the cashback in the form of vouchers in the MyJio app. Under this offer, customers will also get enhanced high speed data experience. Jio's offer will be available for both existing and new Jio subscribers who purchase the OnePlus 6T, the release said. Under this offer, cashback will be available in the form of 36 vouchers worth Rs 150 each in the MyJio app. Customers will be able to redeem these vouchers on subsequent recharges of Rs 299. The recharge plan will also entitle customers to 3GB 4G data per day for a period of 28 days with unlimited voice calls, SMS and access to Jio's premium applications. Effectively, the offer will bring a total of 3TB of 4G data to the users over 36 recharges. 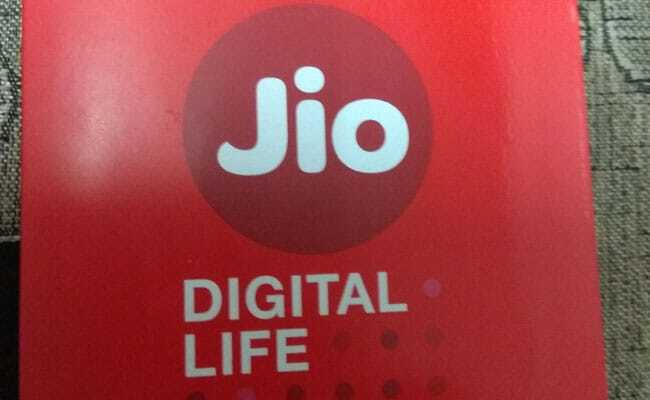 Customers will be to avail the offer with the first prepaid recharge of Rs 299 done via Jio's official website- jio.com, Reliance Digital stores, MyJio Stores, Jio retailers and the MyJio app, said the operator. In a separate offer, Reliance Jio is offering 100 per cent cashback on prepaid recharges priced at Rs 149 and above. Customers recharging with Rs.149 or above plan, will receive the cashback in form of coupons, redeemable at Reliance Digital or MyJio stores, according to Jio. The operator has recently also introduced a new annual plan priced at Rs. 1,699. Under this plan, Reliance Jio is providing unlimited data and voice calls, among other benefits, for a validity period of 365 days.